Last year, over 200 people died due to fires in the home. It’s thought that you are four times more likely to die in a house fire if there’s no working fire alarm. This is why, at BWS Security, we provide top of the range fire alarms that are designed to keep you safe. However, we feel that it’s important that you’re clued up on how to prevent fires and that you know what to do in the event that a fire breaks out. 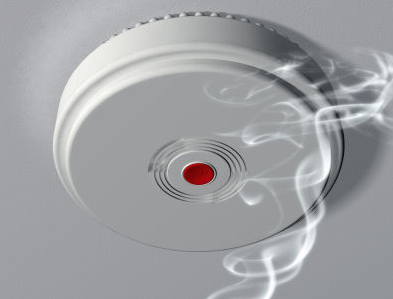 Every household and workplace must have a working fire alarm. This simple item could save your life, so it’s essential that you carry out regular tests to make sure that it is still in working order. Gov.uk advises that you check your fire alarm when the clocks change, which was just days ago – did you test your fire alarm of 29th March. In the event of a fire, you need to know how you are going to get out of your home. Sit down with the rest of your family or household and plan an escape route, making sure that any children understand the importance of the exercise. Once you are out of the house, you must stay out and call 999. There are many areas of your home that are vulnerable to fire hazards. Make sure that you don’t overload plug sockets or leave heated hair stylers switched on, and if you smoke, take special care to stub them out properly. Make sure that you regularly have your electrical installations checked by a professional. Frayed or exposed wires can cause fires, so these need to be replaced to reduce the risk of an electrical fire. Here at BWS Security, we are committed to keeping you safe and sound, whether that is through the use of fire alarms, CCTV or Burglar alarms. If you are in need of security services in Bristol, please don’t hesitate to get in touch with us today by calling 01225 800 602 to speak to a member of our qualified team.